MONMOUTH JUNCTION, N.J. - Parents, we have an urgent recall to tell you about. 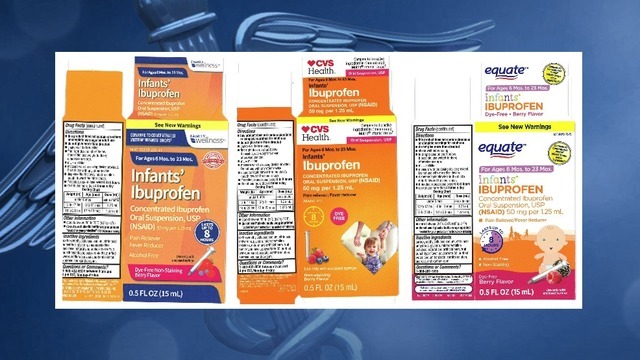 Certain store brands of Infant Ibuprofen are being pulled off store shelves, so check your medicine cabinets. The brands were sold at Walmart, CVS, and Family Dollar. They may contain higher concentrations of the medicine than labeled, so they could be potentially harmful to infants. You can learn more about the recalled products here.